Continued from day 5. Continued on day 7. Wednesday, and our stay at Måsåplassen by Friisvegen had come to an end. After checking out, we sat course for Rondane Høyfjellshotell at Mysusæter. This week, we were looking after Turte – Karma’s sister – while the owners were on holiday. They took care of Karma while Anne and I went to Rhodes. 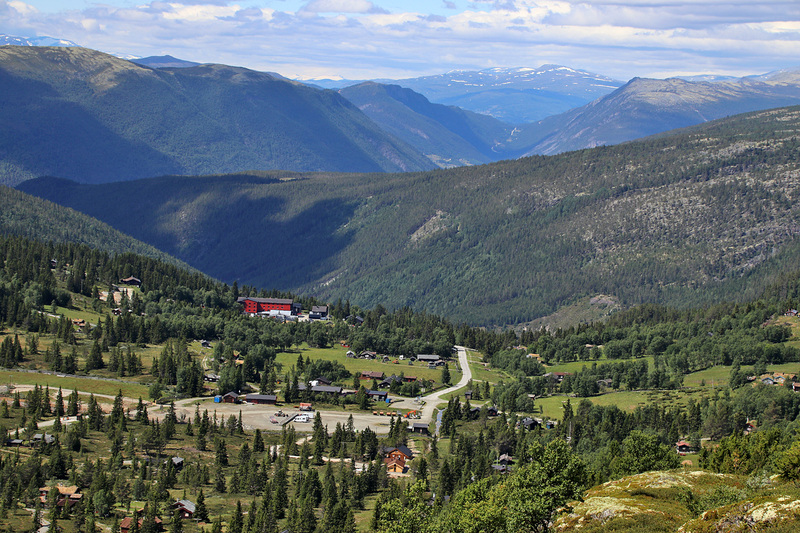 On our way to Mysusæter, we took the old road on the north side of Uldalen and stopped by the Kvitskriuprestein attraction. 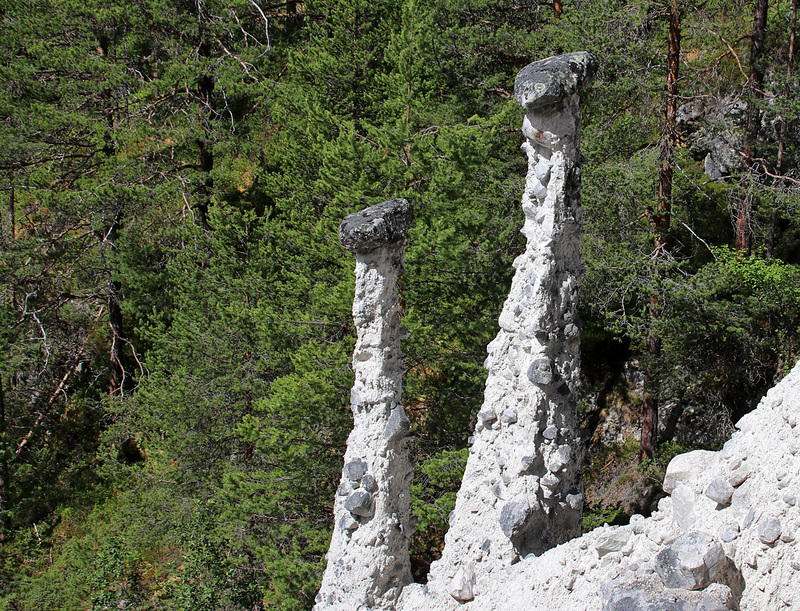 Kvitskriuprestein are pillars with a rock on top when the rain has washed away the masses underneath. They are a spectacular phenomenon, and over time some will collapse and new ones form. Unfortunately, there has been episodes of vandalism. Incredibly sad. Trip statistics: 0,5km, 105 vertical meters. 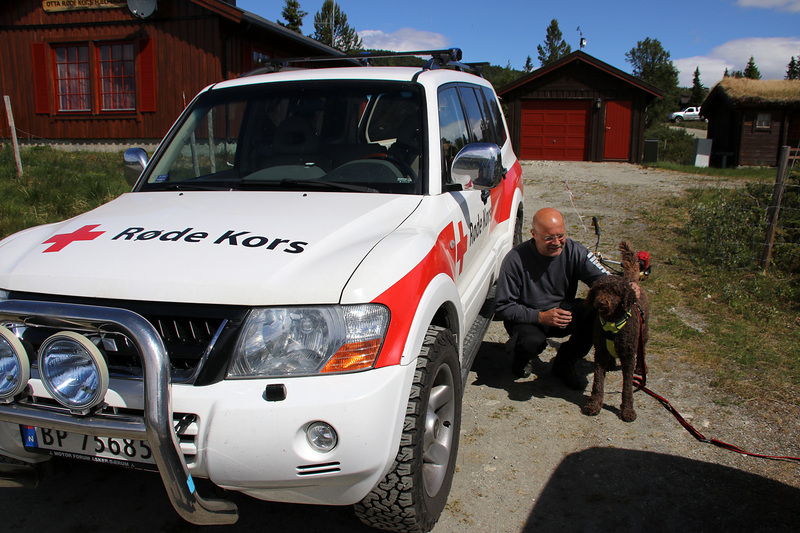 We proceeded up to Mysusæter and tried to check into the booked cabin at Rondane Høyfjellshotell. 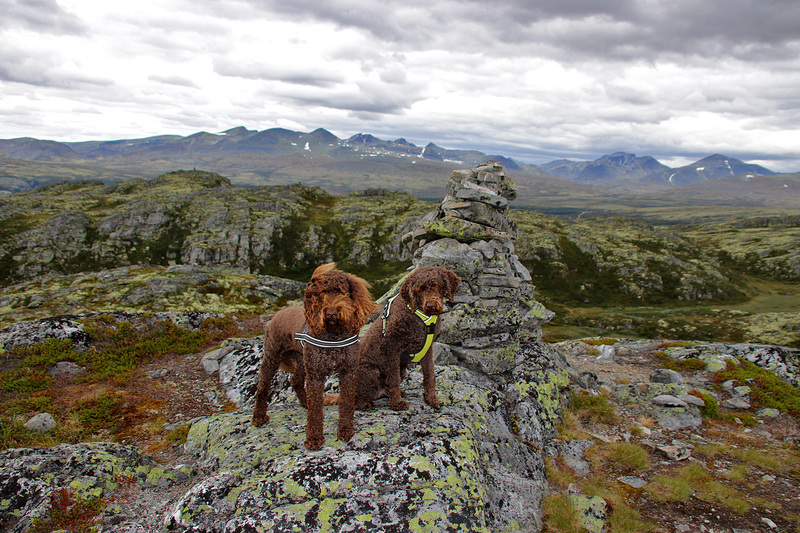 But the cabin wasn’t ready yet, so we decided to do a hike in the meantime. Ranglarhøe was a natural choice. We followed the path towards lake Ranglartjønna, and headed up Ranglarhøe’s south ridge. We had a good overview of Mysusæter from here. It didn’t take much effort to reach the top of Ranglarhøe, but it was still nice to be up here. The view towards the Rondane mountain range was first class..
We descended along the north ridge and joined the road from Spranget. 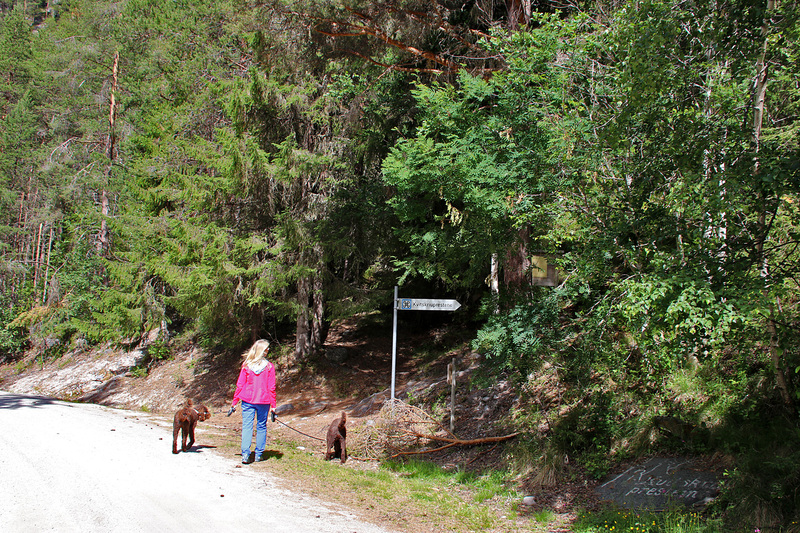 We followed various roads back to the hotel, hoping we could check in now. Because of “high season“, the cabin price (NOK 1600,-) was twice of what they advertised on their web page. High season, my rear… The local store hadn’t even opened for the season. High season just meant; “we’ve got a good booking this weekend, so we really don’t need you”. But OK, so what did we get for the money? A quite average cabin with absolutely nothing extra. Not even a remote control for the TV. The bathroom was a huge disappointment. Anne and I looked at each other, and we both had “rip-off” written on our faces. But OK, we could afford it and at least the surrounding nature would not be disappointing. Trip statistics: 4,9km, 250 vertical meters, 1h:15m. Anne wanted to “settle in”, while I was geared up for more hiking. 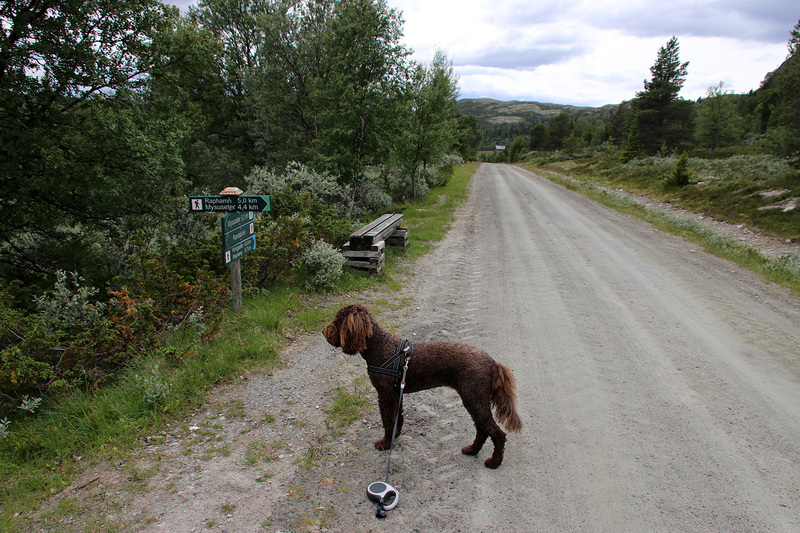 So, I took the dogs and drove the toll road towards Vålåsjøsætrin – to hike Vålåsjøberget. Which looked like a fairly easy and short hike. I parked the car when I saw the “Raphamn/Mysusæter” signpost. 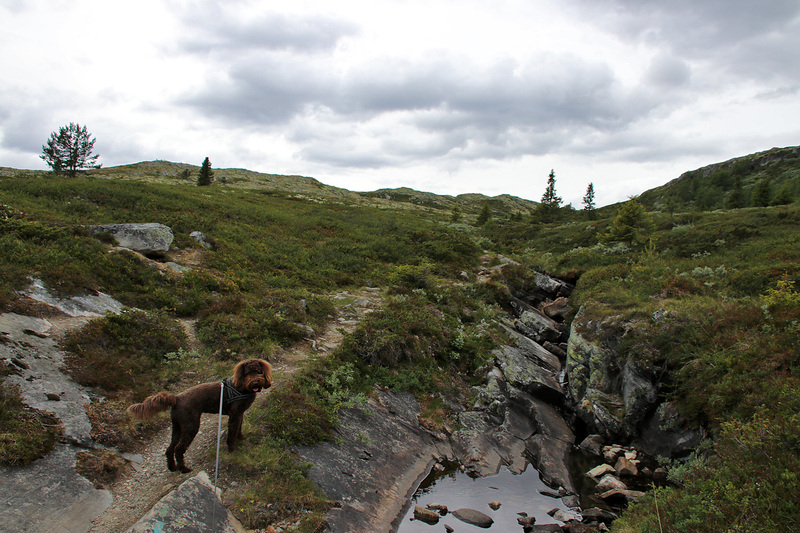 This path would take us just north of Vålåsjøberget, leaving us with a short potential off-trail section. 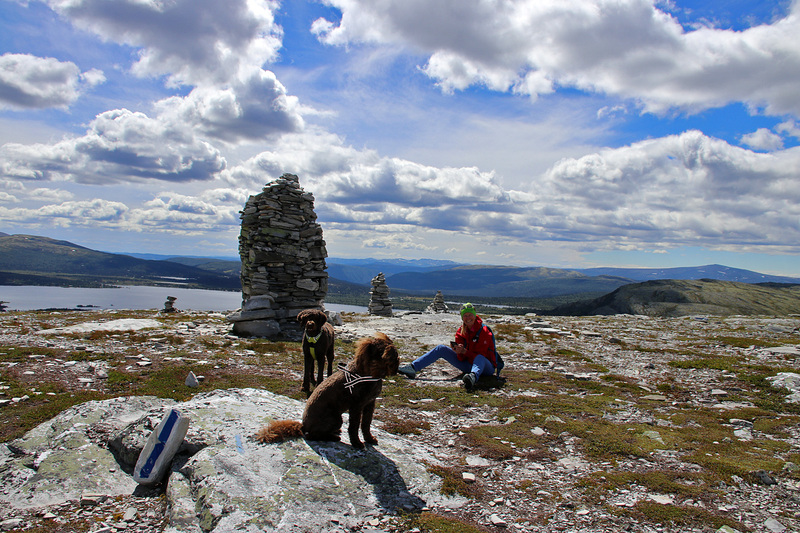 But there was a path running all the way to the top, and 30 minutes after leaving the car, we stood on top of Vålåsjøberget. Upon descent, we went to a lower top to the south and followed the ridge down. 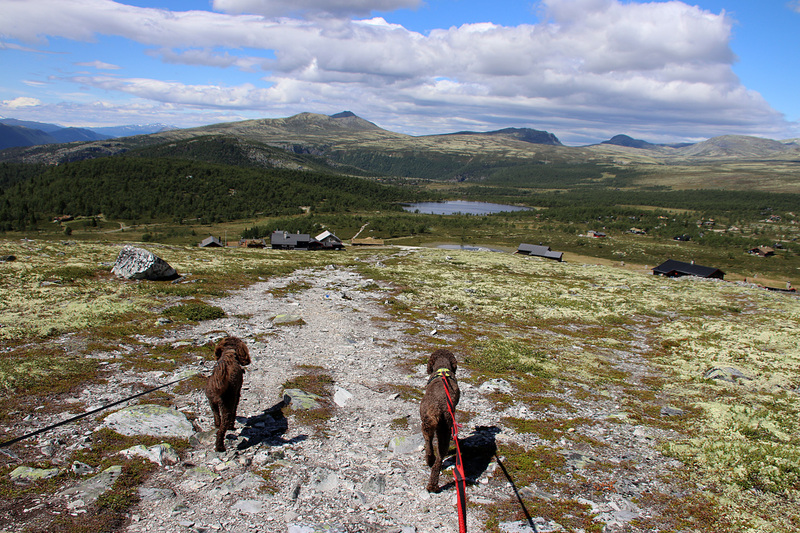 There was a path down the ridge, which took us down the road, halfway between where I parked and Vålåsjøsætrin. Trip statistics: 4,5km, 280m vertical meters, 1h:05m.